Scrims are fabric panels, used for dimming, with the light source being a luminaire or sunlight. Flex Scrims are made of a slightly heavy spring steel and are made in both Open End and Solid Frames. 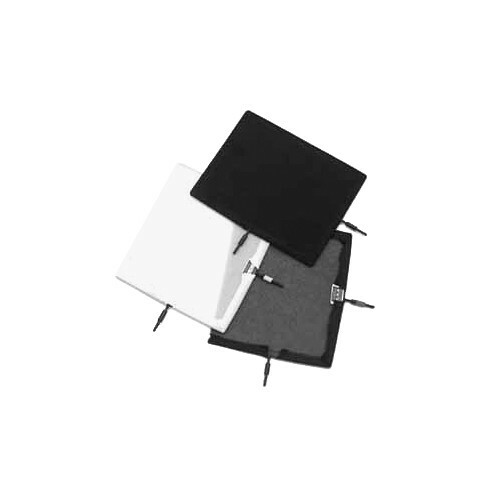 The Flex Scrims have pins for easy mounting into either a Hollywood Superflex Arm, a Flex Arm or a Grip Head. They are color coded on one of the pins for easy identification of the fabric sewn on. Flex Scrims are available in 10" x 12" or 12" x 20" sizes and a variety of fabrics. Frames are black powder coated to minimize unwanted reflections. Box Dimensions (LxWxH) 15.0 x 12.5 x 0.5"